As I’m writing this, we’ve just returned from our annual retreat in Vestal, NY. After so many years at the same church, our visit now runs as smoothly as clockwork: an early departure, bagels for breakfast, singing and games throughout the day, a lovely meal provided by church members, bonding activities and discussion in the evening, a short night of sleeping on church pews, and then two morning services to repay the community for their hospitality. I must confess that I was caught by surprise. Perhaps I’d somehow thought they were the ones doing us a favor by lending their facilities for free... and didn’t fully grasp how profoundly our yearly gift of song has affected them. 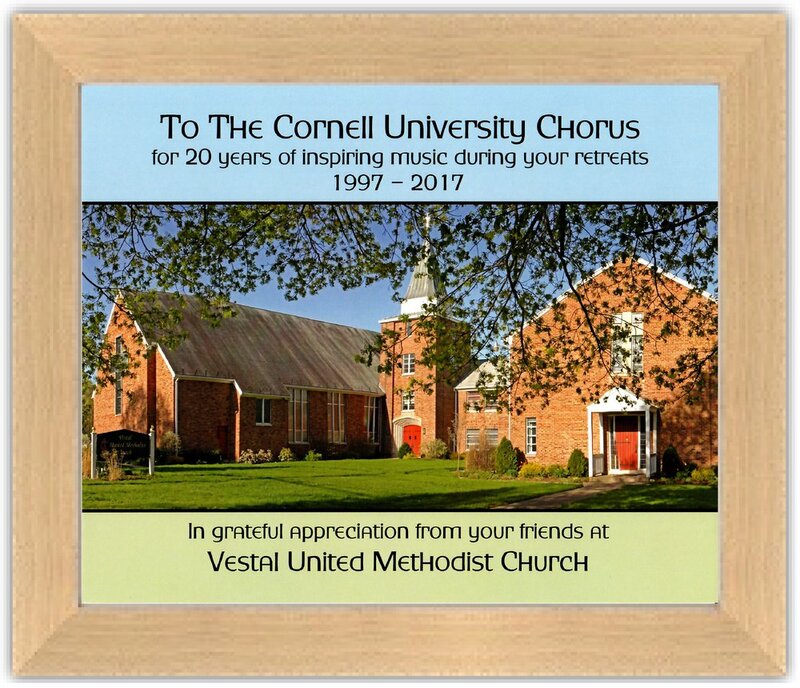 I take great joy in exploring the world of music with the members of the Cornell University Chorus, but I’m also lucky enough to hear them every week; it’s easy to forget how much of an impact this choir can make on listeners who hear them just once a year. Or indeed, those who hear us for the first time! One of our newest members told me she actually wept during the first full rehearsal — “I just hadn’t realized how much I missed singing.” We have twenty new singers, who sang beautifully in Vestal last weekend and have already begun to make their own impact (socially, musically, and organizationally) on our beloved Cornell Chorus. It’s been a joy to welcome them to our community, and I can’t wait for them to meet and sing with all of you too.